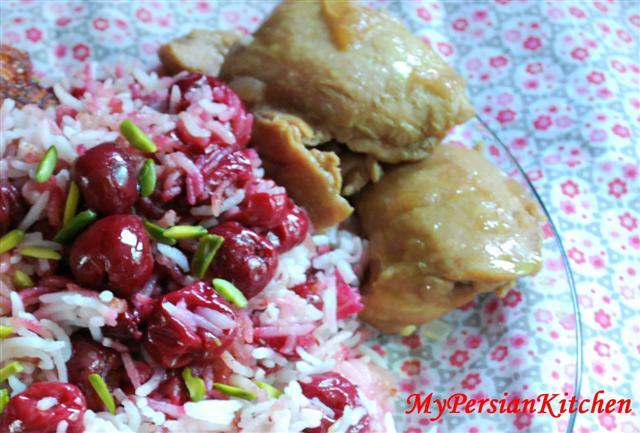 It occurred to me last week as I was going through my old posts that I never posted a recipe for the chicken that I had made to go along Albaloo Polow, Persian Rice with Sour Cherries. In the skim of things I suppose it is not too bad of a thing because for some time now I have been wanting to add a new section to this blog. I love making Persian food, there is no doubts about it and whatever I post here are traditional Persian dishes. It i no secret to anyone that knows me that I love love love Persian spices and in recent years I have started incorporating them into my non-Persian dishes. I can even tell you when it all started too. A few years back the Food Network came up with the Food Network Star idea. It was the very first year and after pondering about it for a few days I decided that I was going to throw my hat in the game. I always make chicken soup when I’m ill but never thought about adding dried limes and Persianizing it. I laughed from the bottom of my heart at the word Persianizing. It just sounded so appropriate and I could not stop giggling every time I thought about it. I thought, I should totally use that as the name for my Persian Fusion category. Thanks for the inspiration Homa! So here is the first post that goes into the “Persianizing” category. Just in case you are wondering, I will post the recipe that I sent to FN as well some time soon! First things first, I thought about this recipe when I was getting ready to make some chicken to go with Albaloo Polow. I had some leftover Sour Cherry syrup and decided to add it to the chicken for some added flavor. The results were good, the taste was mild and not over powering. I will definitely do this again as it was such a nice complement to the rice, especially when the chicken juices were poured over the rice. 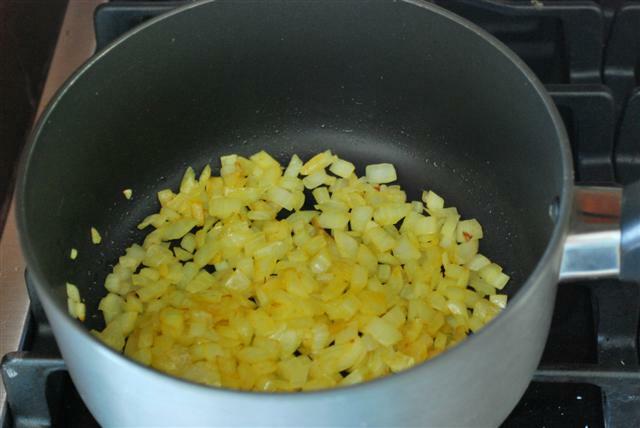 Add turmeric and let the onions cook for a couple of minutes longer. 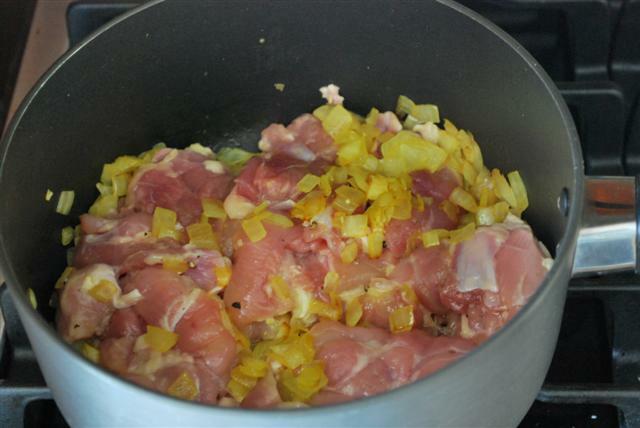 Season chicken with salt and pepper and add to onion. 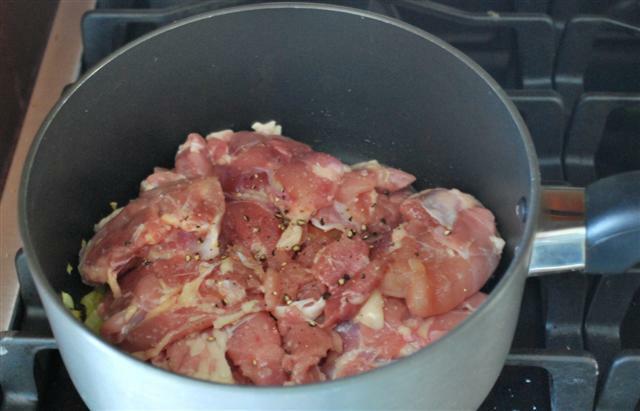 Shake your pan so that the chicken touches the bottom of the pan. 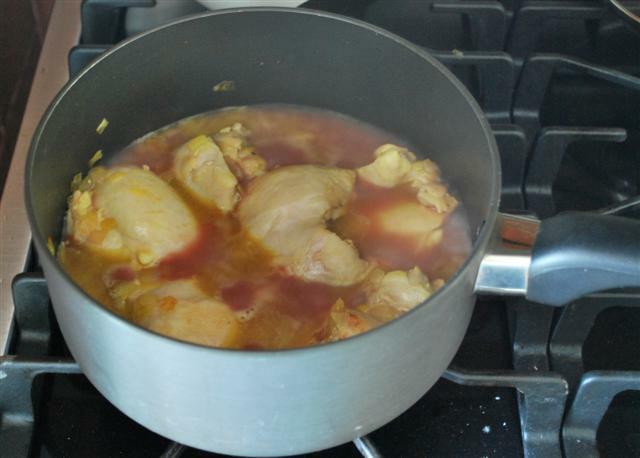 Cook for about five minutes then flip chicken, cover and cook for 5 minutes longer so that the juices release. 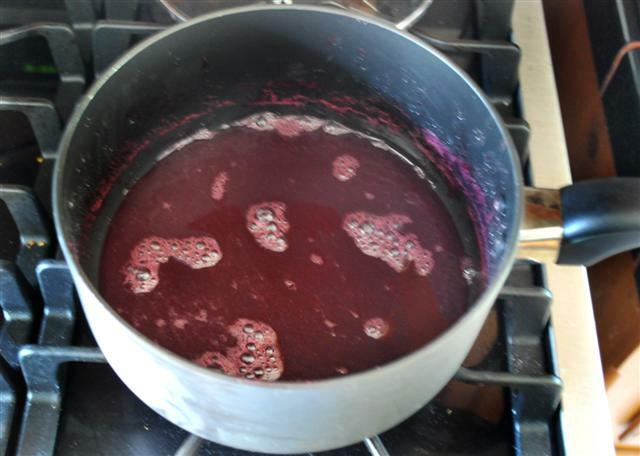 Add 1/2 cup of water and sour cherry syrup. Give it a stir, cover and cook for 20-30 minutes longer. 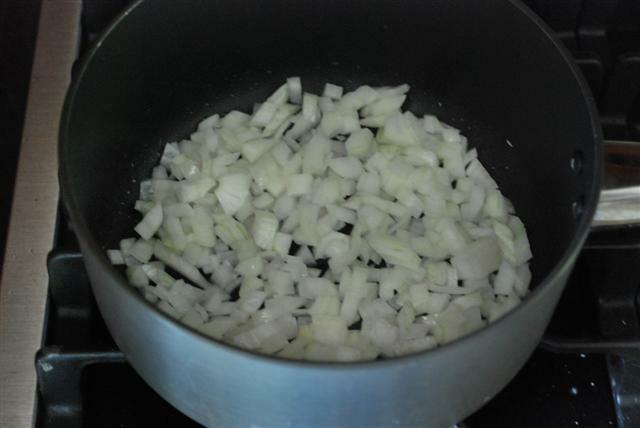 Once ready check and adjust seasoning. Love the word “Persianizing!” How fitting. I totally Persianize a lot of my dishes. Just today, I did some sweet potatoes with saffron and some other spices. Totally delicious! Your sour cherry chicken soup looks great. I will try to make it soon. I agree Bria, Persianizing is so fitting. I am always finding ways to use Persian spices in non-Persian food! Great recipe that I have never had before! I tried to make the rice with cherries once (about 20 years ago) but it came out a disaster! it takes a couple of tries! It also depends on whether you use fresh cherries or preserve. If you ever try making it again, let me know how it came out! Thanks a lot for this great website. it helps me a lot to learn how to cook and also convince my french husband that persian foods are as good as french ones. Pardis, thank you for your kind comment. Persian cuisine is different than French cuisine and the French get a lot of credit for their food, but Persian food has been around for centuries. Let me know what your husband thinks of the dishes that you make from my blog!!!! What a great website! I like that you’re experimental and adventurous like me.